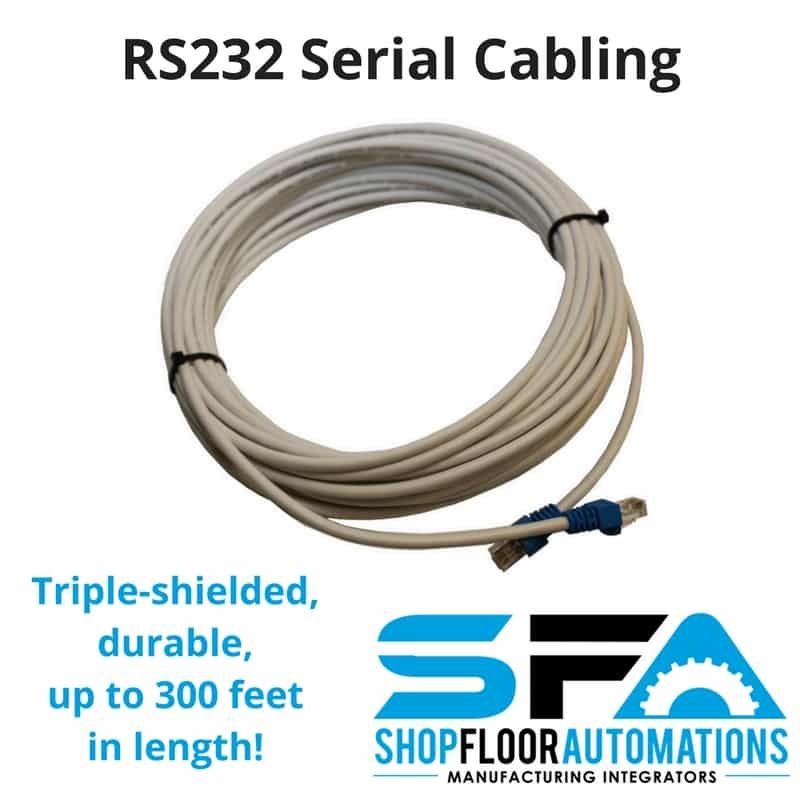 A high-quality RS232 cable is essential for any reliable shop floor communications network. Our cables are modular to make connecting your machines a snap. Each cable is terminated with RJ45’s so that you can still string this cable through conduit or tight spots on your machine. 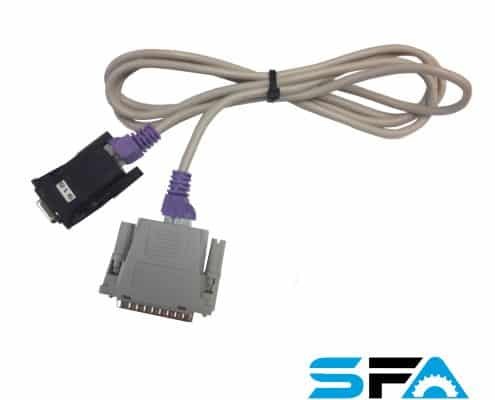 We provide you with the properly pinned out 25pin or 9pin adapter to plug right on the end of our cables. Cables are available in lengths from 25’ to 300’. 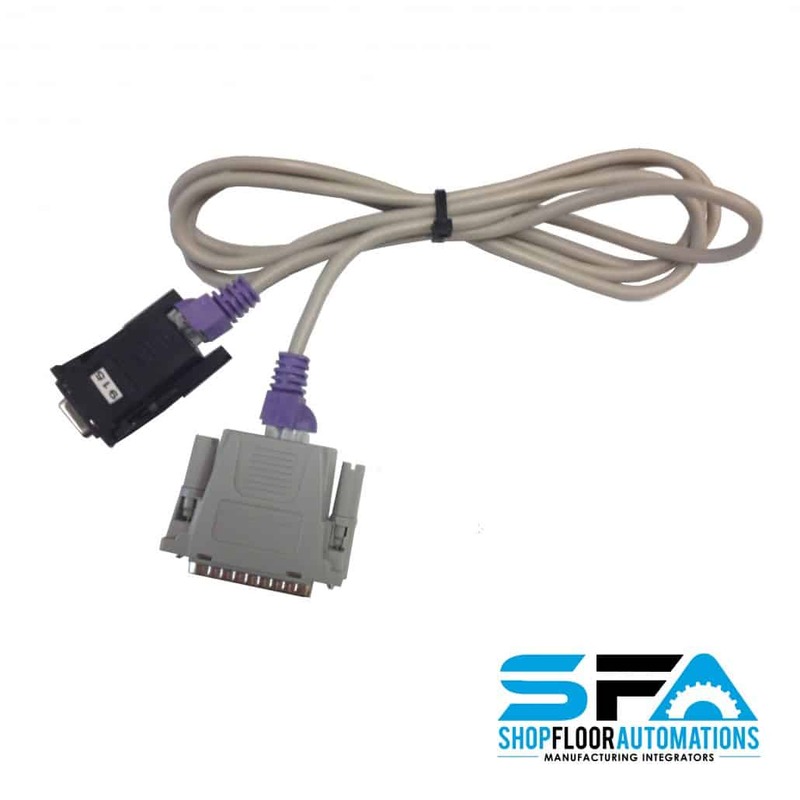 For more info on our adapters see our RS232 Adapter Page. 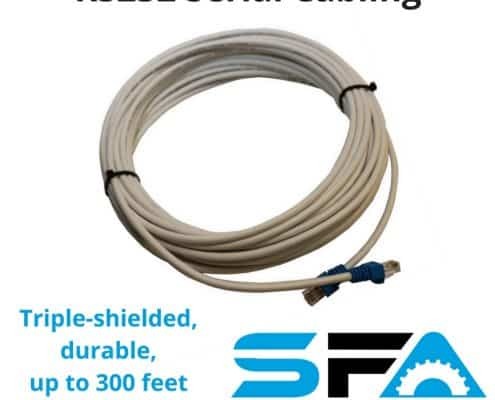 If you would like cabling from 125 feet long to 300 feet long, or other custom lengths, please contact our Sales department. Check out our list of RS232 Serial Cables compatibility. * These cables are not in-stock and will be made to order. Still questioning if you need our cabling kit? Ever have the misfortune of re-stringing thousands of feet of cable to combat noise and data transmission problems? SFA has you covered. Enjoy the most reliable and powerful RS232 cable available (worldwide) with an entire cable solution. No longer will your maintenance department have to run around trying to find a replacement cable in an emergency. You won’t have to worry about properly terminating new cable ends to match your controller’s RS232 pin outs. Let us help solve your productivity problems!